When Pantone announced that Radiant Orchid was the Color of the Year for 2014, I may or may not have cringed just a bit. Growing up in the 80′s, this “hot purple” reminds me of color schemes from my childhood better reserved for the tail on my former “My Little Pony”. I asked my trendy friends what they thought of Radiant Orchid and the reviews were mixed. We all agreed that people are going to continue to use whatever colors they love in their homes in spite of a “Color of the Year”, and we also agreed that any color can look smashing when done right. So how does one who is up for the design challenge “do” a bold color like Radiant Orchid “right”? 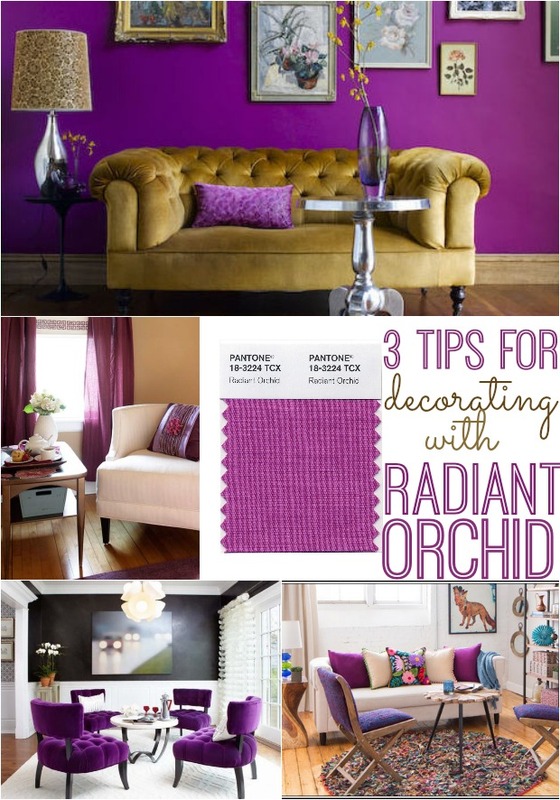 Let’s explore some successful ways to decorate with Radiant Orchid that will have even the skeptics nodding their heads in agreement! 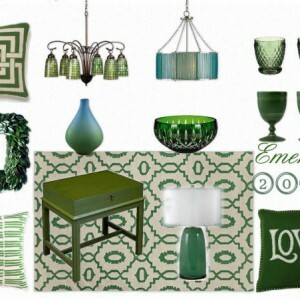 Pops of color work best in accessories such as toss pillows, throws, rugs, and accent chairs. In this living room, white walls, tan drapes, and a cream couch look fantastic when paired with accessories in shades of purple, pink, and turquoise. When using a bold color like Radiant Orchid, a little goes a long way. Consider pairing Radiant Orchid with small doses of other bold colors to create a fun and fresh look in the room. Here is another great example of how to use Radiant Orchid with other bold accent colors. The pops of pink, chartreuse, and tangerine on the pillows and rug complement the bold natural beauty of the surrounding floral and fauna. Suzani fabrics have been on trend for several years now and often include shades of hot purples and pinks. If you want to incorporate Radiant Orchid into your room, a toss pillow in suzani fabric is a great option! The grays and whites in the room below set the perfect stage for the accents of Radiant Orchid, chartreuse, and yellow. 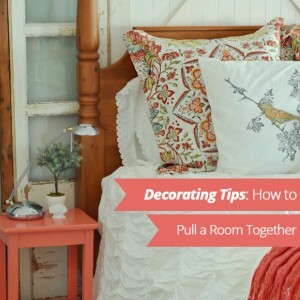 Renters stuck with white walls take note! A neutral backdrop allows you to change your decor easily with the seasons and with the trends. In this kitchen, the bold pendant and bar stools add zest and life to an otherwise stark space. ———————————>Click here to continue reading. Awesome look !!!! I want to one thing here that if you want to have a grey palette scheme in a living room, then you might need to make the hard decision of taking away bold colorful pieces that dominate the space. Keep it neutral. Thank you for showing it as pops of color in a room and not “paint the whole room!” Radiant orchid is a color to be used sparingly, I believe, and you demonstrated that above. It is a very powerful color! My daughter loves it! Great job on trying to find ways they used it “right”….but I still just can’t make myself love it.